I am trying to create 365 Collages in 2018. 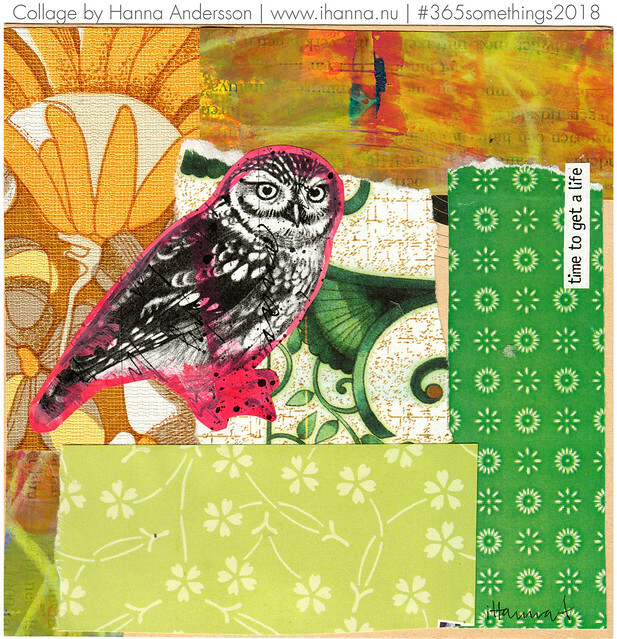 In this post you will find seven new collages for Week 28. When thinking about this project right now, I am asking myself: Who the heck came up with this crazy idea? It was me, myself and I that decided to do another 365 collages this year, so I have no-one to blame but myself. Darn! Everyone is tired of seeing the same start of blog posts every week, right? 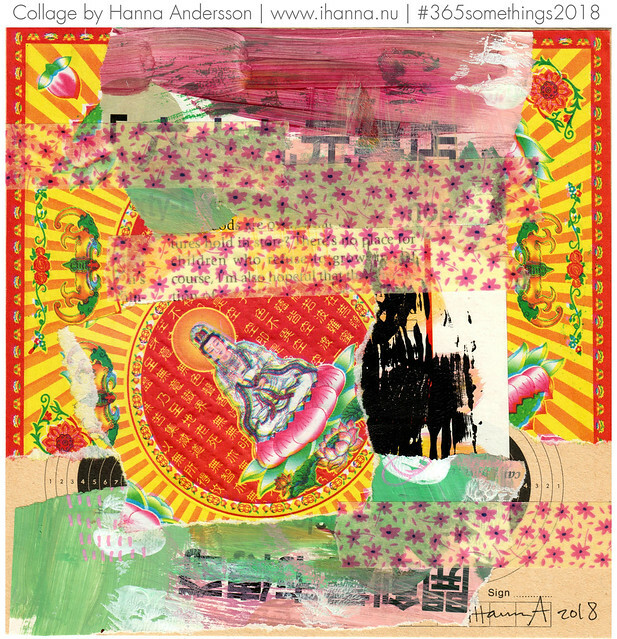 365 collages in 2018… yada-yada-yada! I’m tired of it. I’m ready to give up, and yet I’m not. I really want to finish, because there is immense satisfaction in scanning seven finished, square collages made on vintage target practice paper, and saying: Yes. I made those. I finished yet another week of collages. I can do this! Me, myself and I can finish this huge and right now burdensome collage project. Right? The stupidest thing I did with this project, was falling so far behind this winter when I was just starting out. I can’t even remember how that happened, but probably I was too tired to make it to the studio too many weeks in a row. It’s the “being behind” thing that bugs me most right now, so that is why I’m posting two collage posts each week right now (14 collages a week! ), so that I maybe, just maybe can catch up! That would be a dream to me right now, and I’m not that far away from doing just that. Yay! It’s not a good idea to fall behind when you have to make a collage for each day, because if you fall behind 14 days, that is a lot of work to catch up on. But it’s not the end of the world to fall behind either. At least that is what I’m telling myself. If you push yourself to work towards your goal, you can and you will catch up. Right? After the dry spell, collage by iHanna. Extra from week 14. 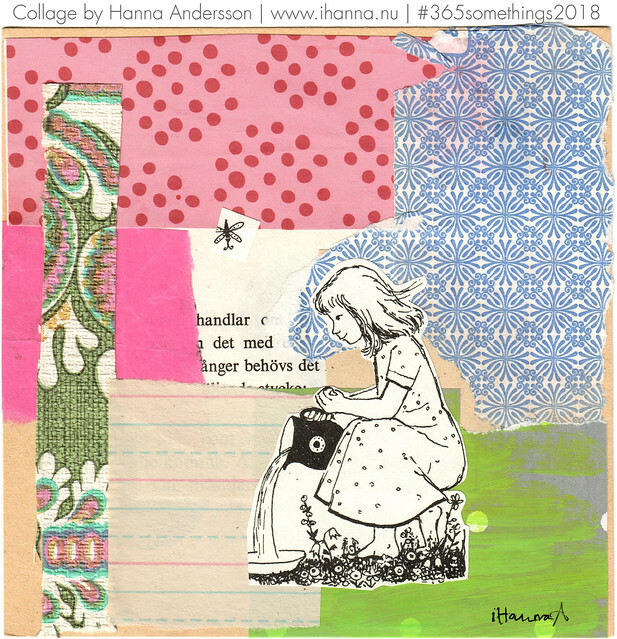 Wednesday for you, collage by iHanna. Extra from week 20. 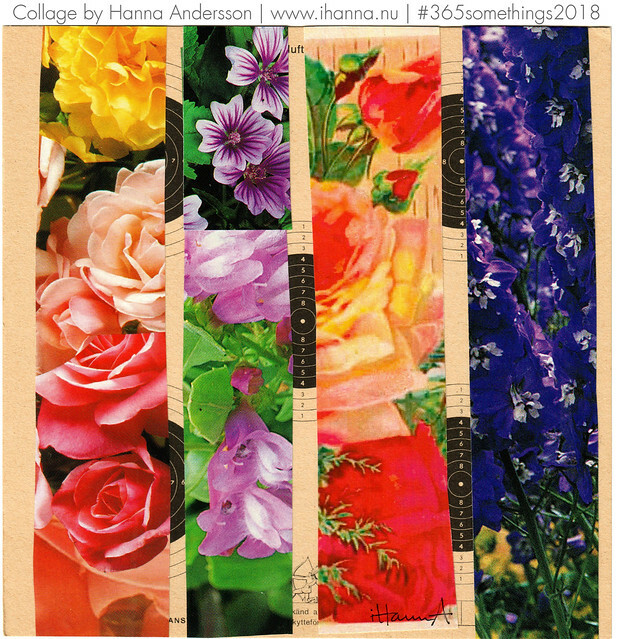 In a haze or maze, collage by iHanna. Extra collage left over from week 15, Made in China. Waiting for the sun to set, collage by iHanna. Extra from week 23, Starting from the Same Point. Thirsty for more, collage by iHanna. Extra from last time I made collages, week 27. 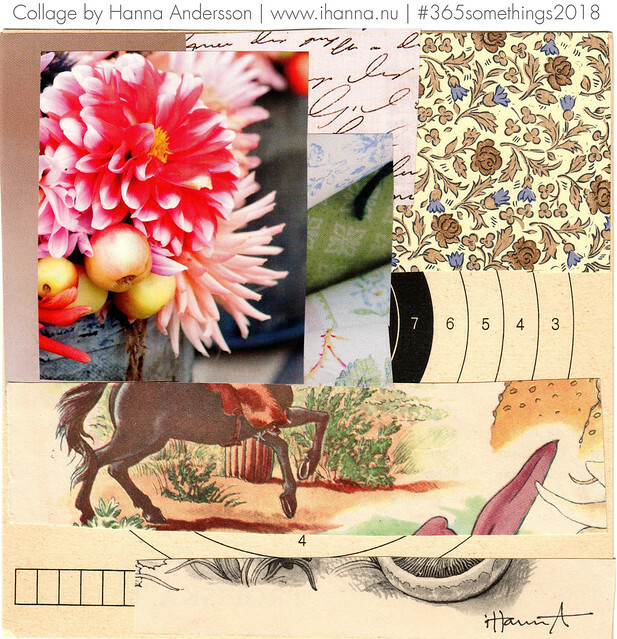 Hang in there, collage by iHanna. Cowboy for Dessert, collage by iHanna. Also from catching up last week, week 27. So I’m not giving up just yet, but I am very much looking forward to being caught up with the weeks, and closing in on what week we’re in right now, week 32, so I’ll have to amp up and hope you can stand it. I’m looking forward to posting some other stuff in August too, writing a bit more and sharing some projects I’m working on as well as video content and this and that, as you should be expecting from me and this blog, not just collage, collage, collage! I’m grateful for every comment, re-tweet and encouraging word you send my way on these collages and this project. It makes me feel less like a crazy loner, and more like a part of a community of like-minded that loves seeing square, cut and paste art pieces presented in a little gallery every week here on the blog. Thank you! Bonus collages: Feel free to leave me take a look at the 2013 week 28 of collages, when I did a 365 project. 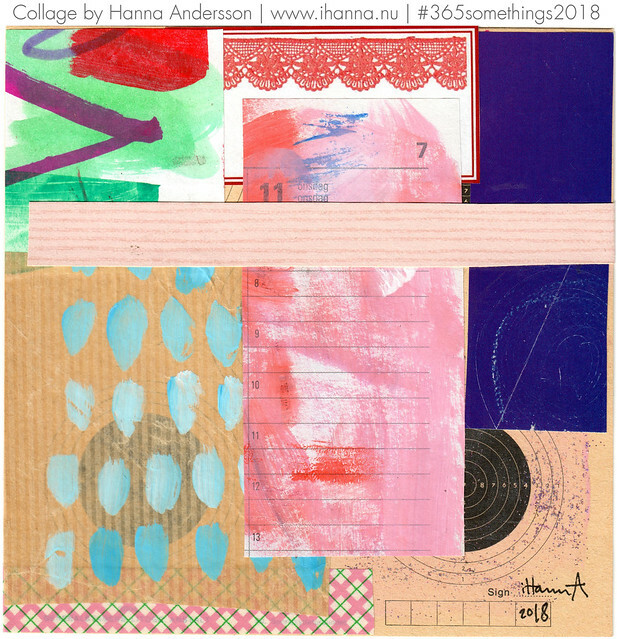 This entry was posted in A Creative Life, Collage and tagged 365 project, 365in2018. Bookmark the permalink. 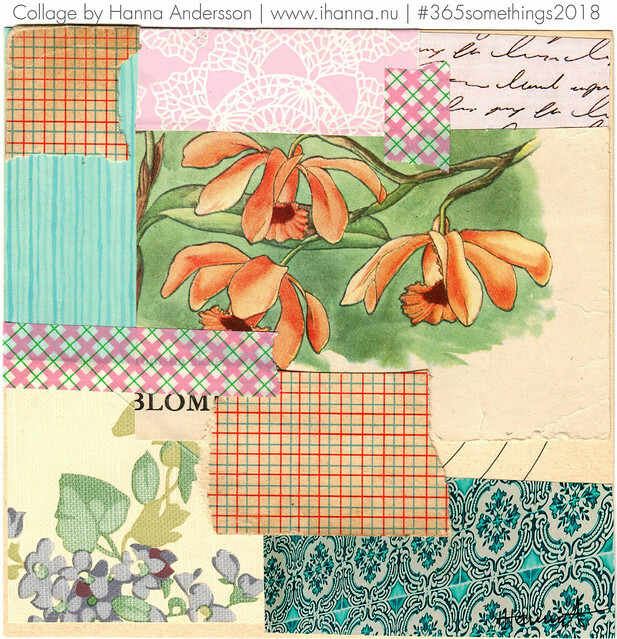 I’m blown away by your dedication to the creating 365 project, Hanna! You are truly an inspiration to us! Well done for gritting your teeth and going onwards!! I am really enjoying what you make each week and I love the top 2 this week. The flowered strips/stripes has intrigued me and I plan to play around with that idea and I really like all the bits and pieces together of the 2nd piece. Hang in there and also relax – you will catch up and get another burst of energy when you do! GOOD AND LOVELY JOB!! I started with this project too at the beginning of the year but we got a new appartement to move to in the Spring and I decided to drop the whole thing as I could foresee never catching up again after the move and all the work that brought.. I’m glad I stopped ’cause it would have been impossible to catch up all those weeks (14 days may be managable but 6 weeks??? Nope!) I’m cheering you from the side for still doing this Hanna, you are MARVELOUS!!! !